Cyberbullying, sexting, downloading music illegally. What is a teen to do when they find themselves in legal trouble or maybe even a victim of a possible crime? 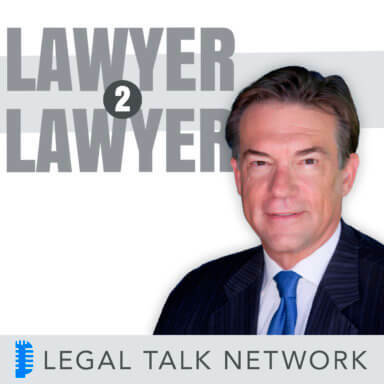 On this edition of Lawyer2Lawyer, co-host and attorney, Bob Ambrogi chats with Judge Thomas A. Jacobs, founder of AsktheJudge.info, about this interactive legal forum for teens. Judge Jacobs explains how technology has changed the face of law in the teen community, what teens everywhere need to know about their personal rights and how they can educate themselves through laws and recent court decisions.